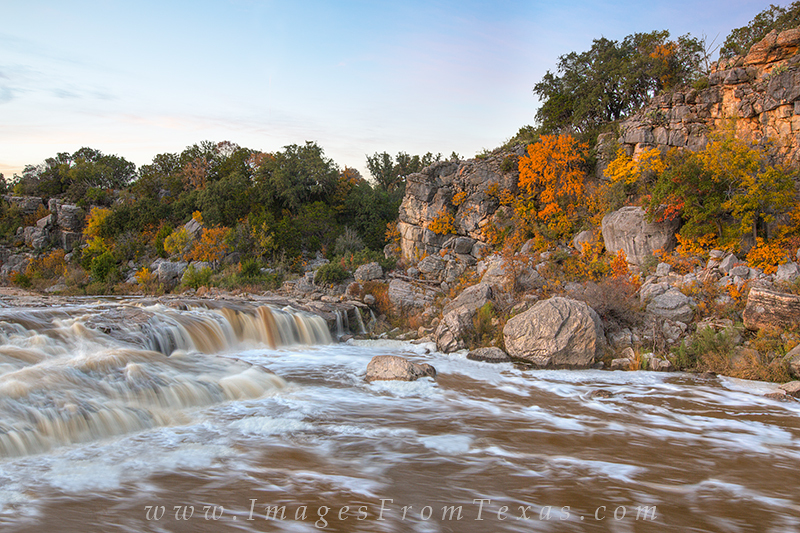 Autumn was in full color along the Pedernales River Basin. After a few days of heaving rains, the water ran high and made for some interesting photography. I can usually walk along this river bank (where the water is flowing in this shot) and often hop on rocks to the other bank. But this time I had to shoot from the top of a rock to take in the landscape. Photo © copyright by Rob Greebon.